In an interview with Piers Morgan, President Trump announced his intention to run for president again in 2020, reports Reuters. What he said: Trump said he "fully intends" to run for re-election and that it seemed like "everyone wants me to." As far as his competition, Trump said he doesn't see a Democrat who can beat him in the election during the interview. "I know them all. I don't see anybody." 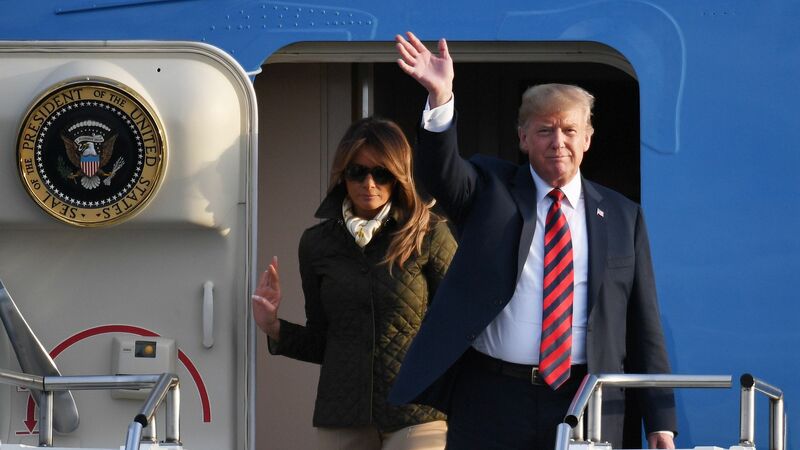 Highlights: Trump, in a breach of royal protocol, talked about his visit with Queen Elizabeth, as well as his upcoming summit and relationship with Russian President Vladmir Putin. Trump said he and the queen chatted about Brexit and she called it a "very complex problem" that everyone initially thought would be simple. "I think nobody had any idea how complex that was going to be." Trump said the queen is an "incredible woman" and described her as "sharp" and "beautiful — inside and out." It's too early to say whether Trump is "friends" or "enemies" with Putin, Trump said. He believes they could get along moving forward, but also noted "right now, I say we're competitors...that's a good thing, that's not a bad thing."